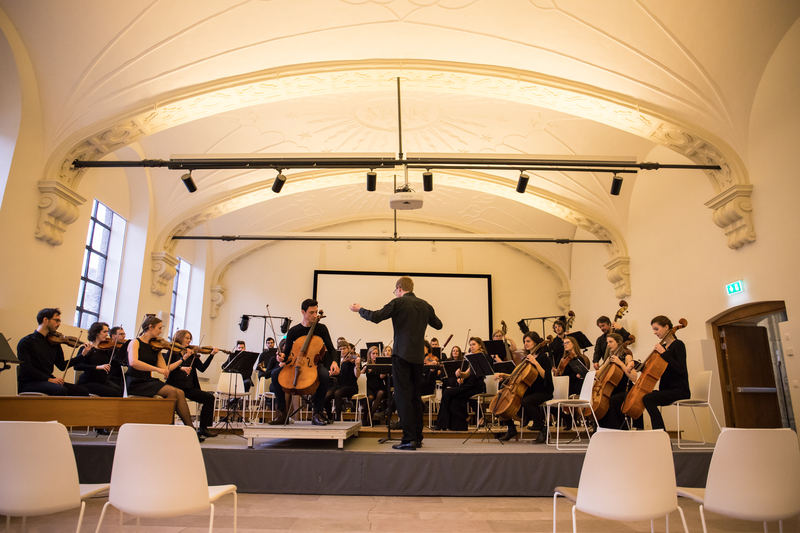 Continuo, the alumni and personnel orchestra of Ghent University, was founded in 2015 and has been led by conductor Kevin Hendrickx from the start. 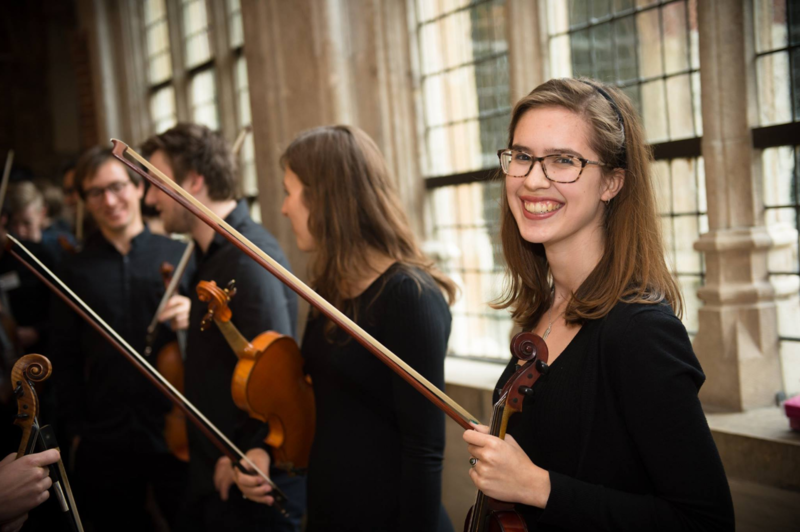 'Continuo' refers to continuing, and underscores the fact that the desire to make music together and the connection to the university do not cease to exist after graduation. The orchestra organises two projects per year, and in addition, it occasionally plays several smaller concerts. Continuo often collaborates with other musical ensembles and artists. The orchestra has made a firm choice for an adventurous course and looks past the well-known repertoire. We perform modern pieces by young composers, as well as forgotten treasures from Western music history (and occasionally outside of those bounds). The past concert programs have all been received enthusiastically by our audience. Continuo feels a strong connection with UGhent. Our first concert took place on 22 January 2016 in the university's Aula, where 300 spectators toasted to our succesful debut, and we provide a stage to young and promising soloists and alumni of our alma mater. 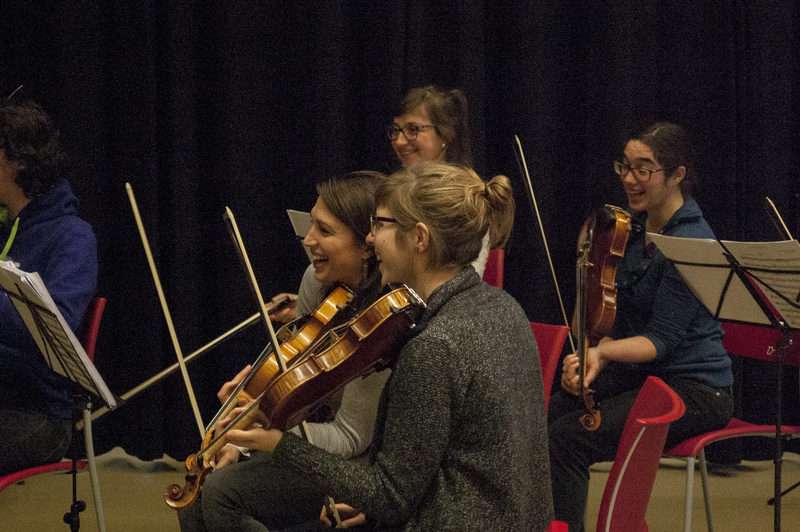 On Friday 29 April, we organised a project themed 'composers from Ledeberg', in collaboration with the Ledebirds and the renowned Spectra ensemble. Dirk Moelants, musicologist and a playing member of Continuo, had rediscovered an unpublished overture by Edward Blaes in the Ghent conservatory library, which was performed for what was presumably the first time, for a Ledeberg audience. In addition, Continuo worked in close cooperation with composer Xavier Verhelst on his composition "Kız çocuğu" for choir, soloists and orchestra. For our next project, on Saturday 18 June 2016 in Ghent University's event space Het Pand, we compiled a program with the theme 'chaos and creation'. Included were the obscure "Les Eléments" by Jean-Féry Rebel, a baroque composition that flabbergasted the audience then (and now) with its unexpected cluster chord. We also performed parts from "Die Schöpfung" by Haydn with the famed soprano Amaryllis Dieltiens and "La Création d'un Monde" by Ghent composer Thomas Smetreyns. The first year was wrapped up succesfully, and preparations for the festivities surrounding 200 years of Ghent University could commence. On 28 January 2017, Continuo paid hommage to its alma mater by performing pieces from 1817 (its foundation year), 1917 and 2017. For this last year, the young Ghent composer Mirek Coutigny composed a piece inspired by the Ghent towers. 'Towering above' was preceded and followed by the colourful 'Tombeau de Couperin' by Ravel and Schubert's impressive 4th symphony. 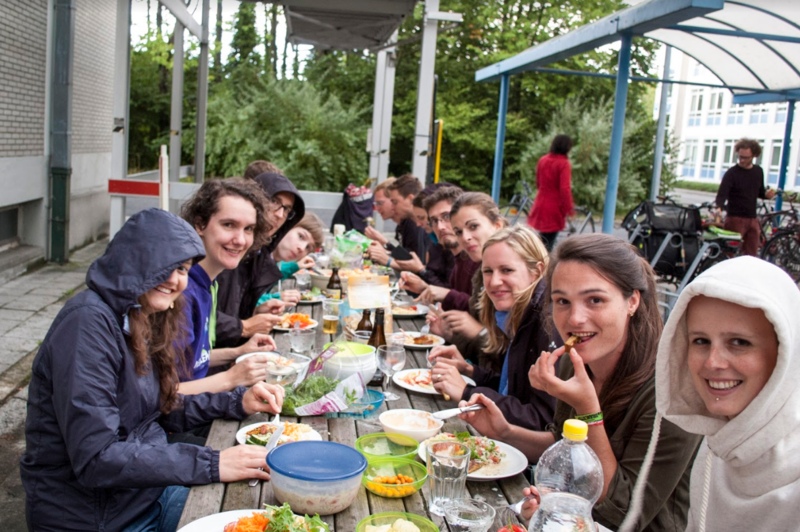 This was only the beginning of the celebration year, as Continuo went on to come together with all other university ensembles of Ghent University and the Université de Liège for a logistical feat: having six ensembles rehearse and perform together, to celebrate the shared foundation anniversary of their universities. 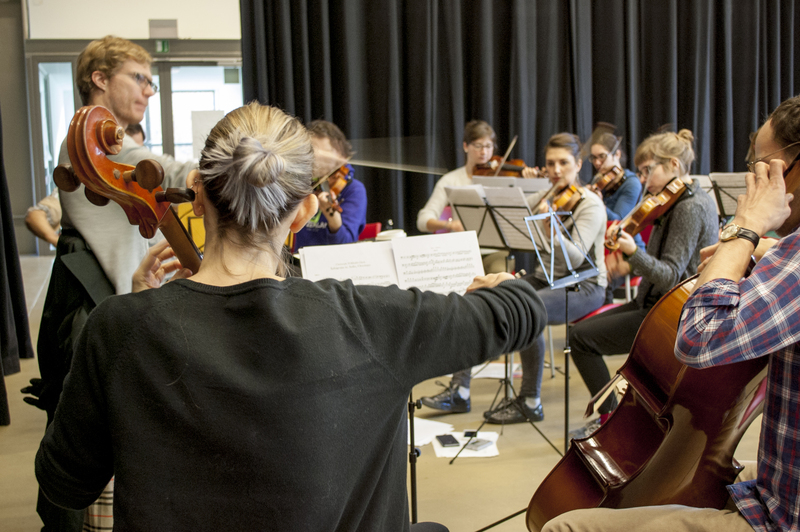 The symphony ensembles performed pieces by Brahms and Sibelius, and the entire group performed a new piece by the prominent Belgian composer Wim Henderickx. In his 'Antifoon', the ensembles circled the audience for an unforgettable surround experience by 300+ musicians. 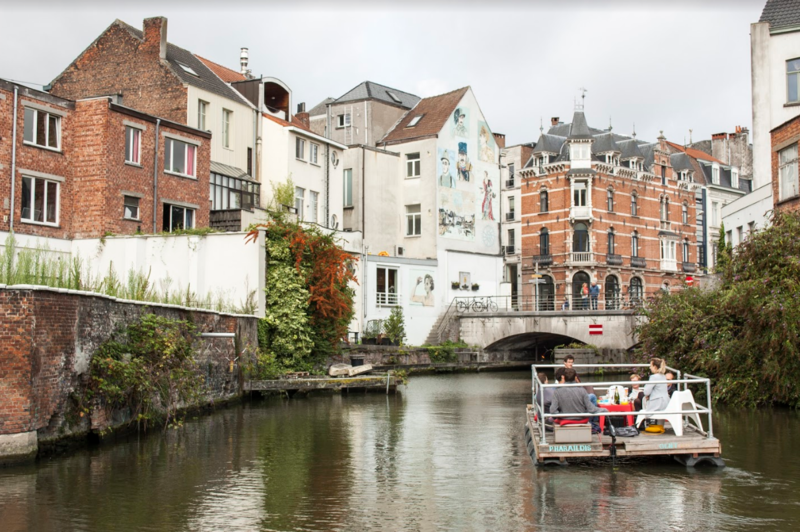 Concerts took place in Ghent (Capitole), Liège (Le Forum) and Brussels (Bozar) on 10, 11 and 16 May 2017. The last concert was attended by HM. King Philippe. 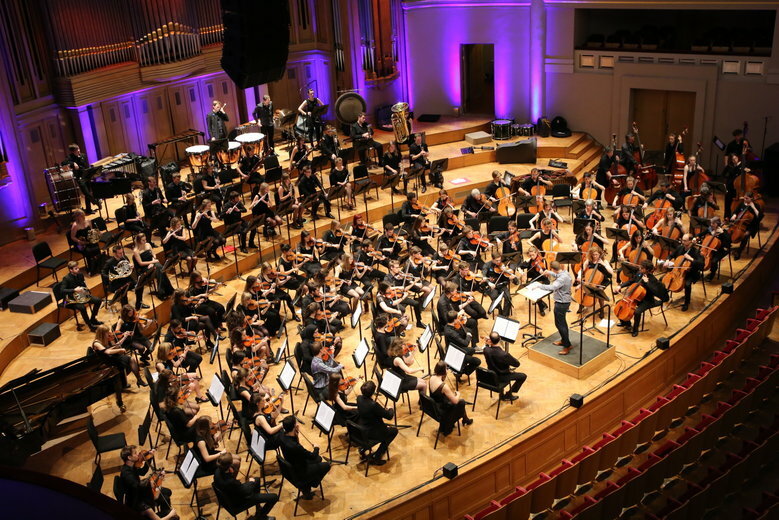 The orchestra can be booked for events both connected to and outside of Ghent University. On 12 May 2017 we performed a Handel and Mozart concert for the Rotary club Laarne-Lochristie. Smaller ensembles have also performed at various university events. Feel free to contact us for more information.